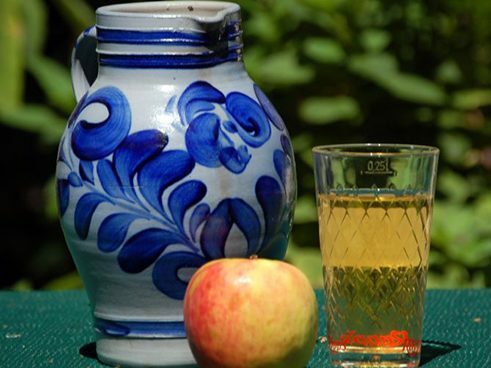 Apfelwein nach Frankfurter Art — Bembel und Geripptes. 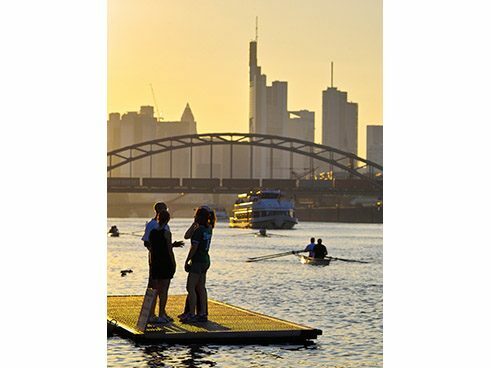 Frankfurt has 730,000 inhabitants and is Germany's fifth-largest city. 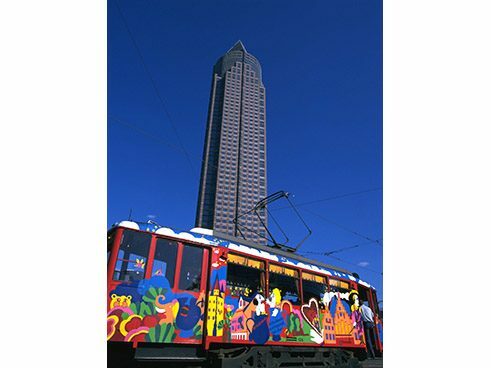 An international feel and a command of foreign languages are everyday routine in this business metropolis, which defines new directions at the international level with such high-profile events as the Frankfurt Book Fair and the IAA, a major car industry exhibition. 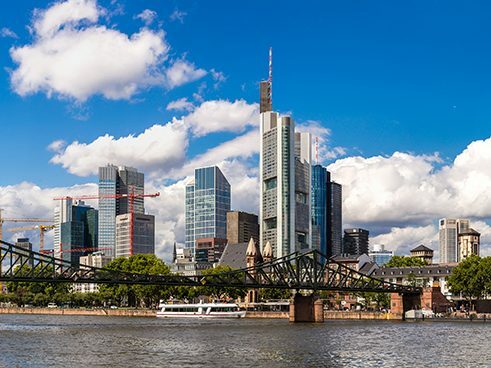 Frankfurt has been a hub for overseas trade and business finance since medieval times. 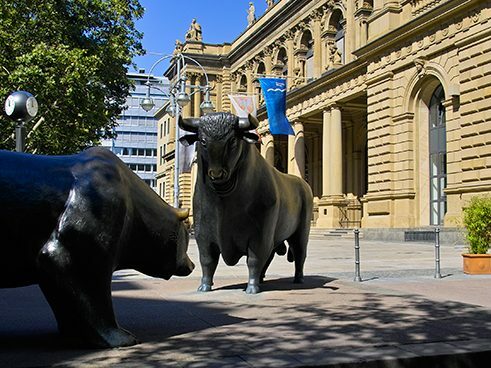 Today it is an important European center for banking, trade fairs and services, and is home to the headquarters of the European Central Bank, Germany's Central Bank, the Bundesbank, and the most important German stock exchange. 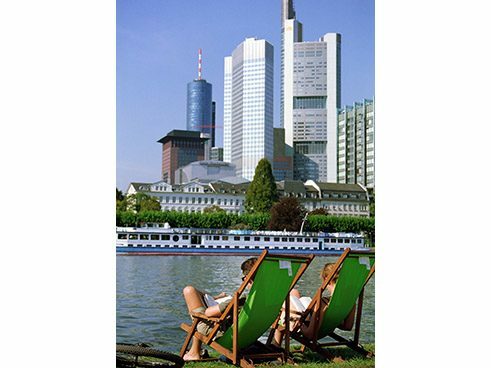 Frankfurt Airport has direct flights linking Germany with every important destination worldwide. 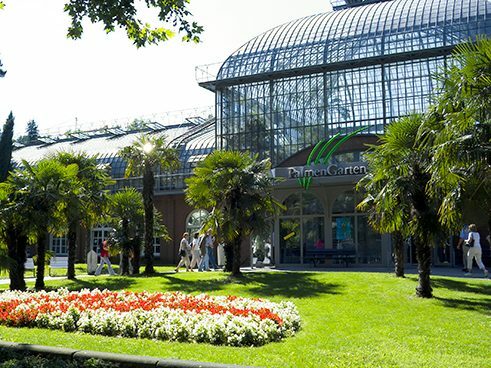 The city's oldest and most renowned university is the Johann Wolfgang Goethe-Universität, which was founded in 1914. 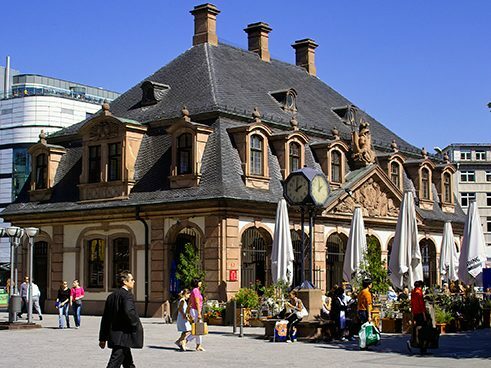 Frankfurt's most famous native son is Johann Wolfgang von Goethe. 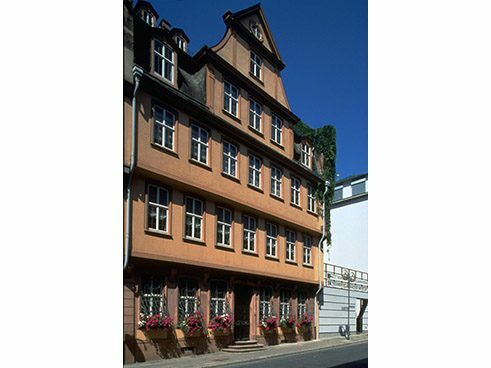 The house where he was born is in Grosser Hirschgraben, and it was in Frankfurt that he wrote "Die Leiden des jungen Werther". The Frankfurt School, centered around Theodor W. Adorno and Max Horkheimer, occupies a prominent position in the history of 20th century philosophy. For those with a love of culture, the Frankfurt Opera is highly recommended. It is considered one of Europe's best opera houses. 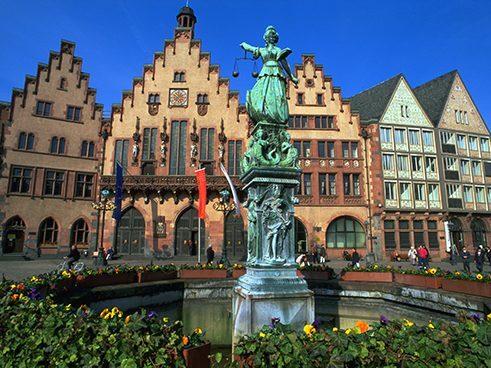 Frankfurt also has a unique museum scene, with more than 60 institutions large and small. Clustered along the banks of the Main is an ensemble of museums that includes the world-class Museum of Film and Architecture, the Museum for Applied Art, the Jewish Museum and the Modern Art Museum. The culture pages of Frankfurter Allgemeinen Zeitung (FAZ), one of Germany's newspapers of record, play a leading role in stimulating and shaping cultural debate in Germany. The banks of the Main, which traverse the city like a green artery, offer the favorite recreational spots for residents looking for open spaces to relax or enjoy outdoor activity. Interspersed with the landing places for excursion boats, and with a view of the impressive skyline, the wide promenades provide an attractive area for jogging, cycling, soccer, walking or just sitting back to take it all in. Less strenuous pleasures are also available in abundance. 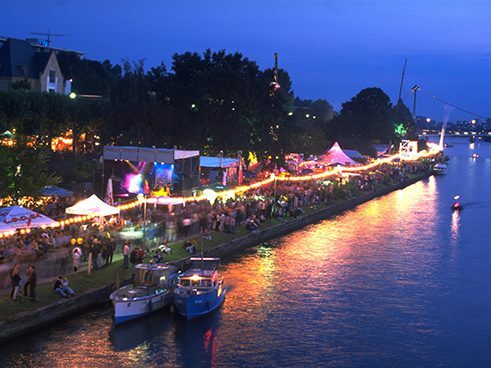 The Museumsufer-Fest, an annual outdoor festival on both banks of the Main, features music, art and plenty of good food and drink. 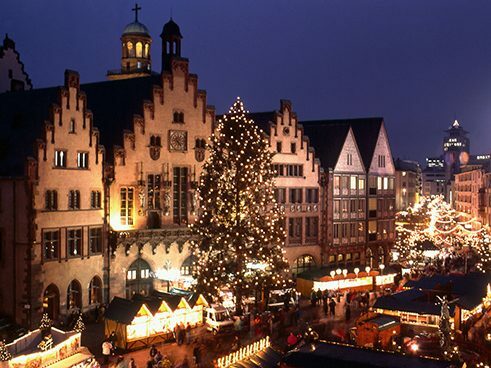 Other highlights include the Höchster Schlossfest, a folklore festival in the historic town center of Höchst and the Frankfurt Christmas market. 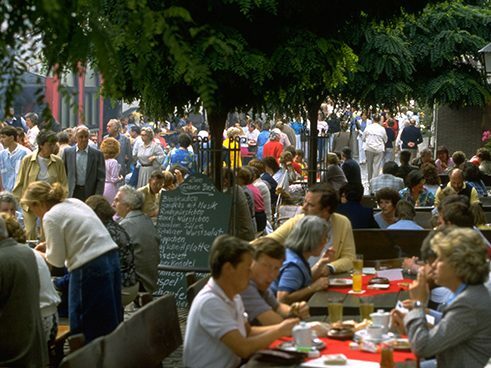 An outing to Sachsenhausen to sample the apple wine or to one of the many wine festivals in the nearby Rheingau region is also a wonderful way to explore the surrounding countryside. And for outdoor types, natural scenery and wonderful hiking country is within easy reach in the Taunus and Odenwald regions.